Model #1 - Download it in high quality to print. Elena de Avalor is the first princess of Latin origin In Disney. Download at the end of this publication the Elena de Avalor birthday invitation for free in digital format ready to print. 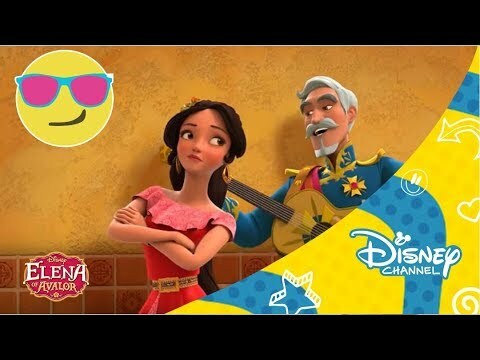 Elena de Avalor has started the other way around, first with the series and then the movie ... or has the situation changed and now the film is no longer a priority? And it is that each time the series has more fans than the cinema, longer duration, the comfort of the sofa, to be able to see it when one is right for you ... You only have to see the success that Netflix is ​​having in our country, which quickly They have joined HBO, Amazon Prime, and even Movistar has been stung and will start producing their own series. 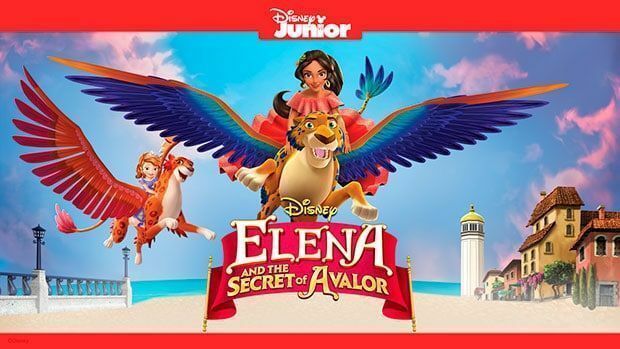 The animation series already begins with a teenage girl (just like the other Disney Princesses) where with just 16 years she faces the challenge of having to govern the magical kingdom of Avalor (hence that of Elena de Avalor hehe), since saved the kingdom of an evil sorceress. Currently the series continues to issue new episodes, at this time officially there are already 10 episodes aired. 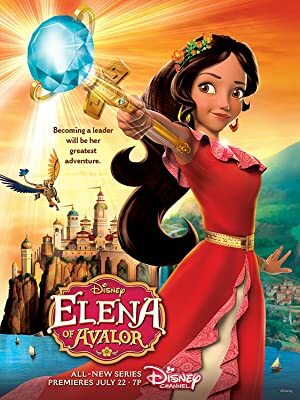 The movie "Elena and the secret of Avalor"Tells the events before the series, explaining how he managed to defeat the evil sorceress Shuriki. At the same time we will see another Disney Princess, Princess Sofia, with which they create this crossover. Given her youth and inexperience, she is guided by a council composed of her grandparents Francisco and Luisa, and her friend, Princess Isabel. 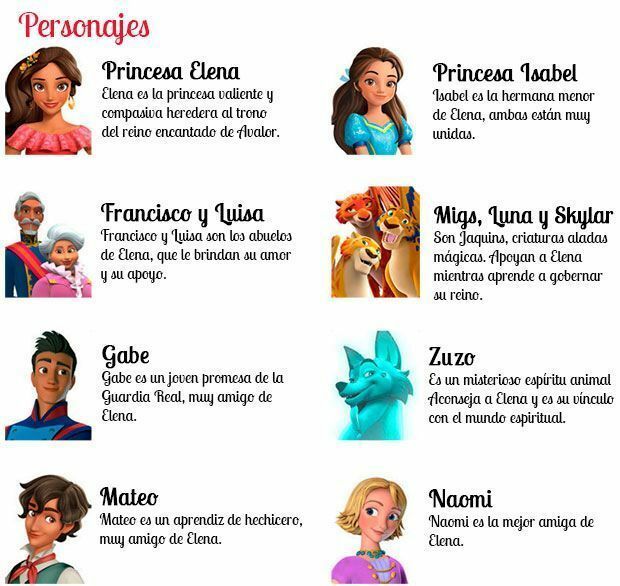 With them and their best friend Naomi, the sorcerer apprentice Matthew, Gabe an aspiring Royal Guard, the magical winged creatures Migs, Luna and Skylar and the Zuzo animal spirit, will enjoy great adventures throughout the kingdom where they will have to learn to govern until she reaches 18 years and can become the Queen. 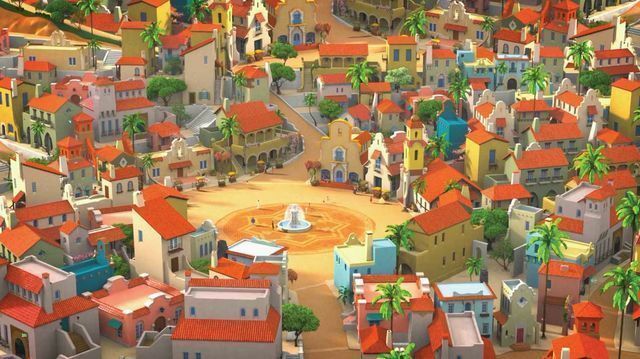 El Kingdom of Avalor It is reminiscent of the type of construction of many Latin countries and the Mediterranean of Spain, with very white houses and roofs with orange tiles.